Siegel, Kenneth N., Ph. 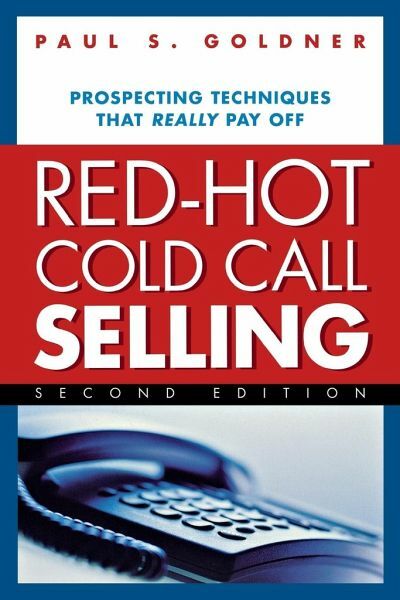 D.
Completely revised with fresh examples and all new chapters, the second edition of Red-Hot Cold Call Selling reveals the secrets, strategies, and tips readers can use to elevate their prospecting skills and take their sales into the stratosphere. Readers will learn how they can: define and target their ideal market -- and stop squandering time, energy, and money on unfocused prospecting develop a personalized script utilizing all the elements of a successful cold call get valuable information from assistants -- and then get past them view voice mail not as a frustrating barrier, but as a unique opportunity Red-Hot Cold Call Selling is a vital resource for all sales professionals, brimming with field-proven techniques that work in any industry. 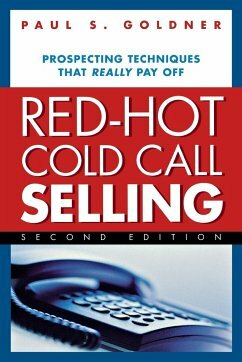 The book includes new information on using the Internet for research and prospecting; cold-calling internationally; using e-mail instead of calling; and much more. Paul Goldner is a sought-after executive trainer, and consultant specialiSing in sales strategy and motivation. He is a frequent speaker at the American Management Association, and a member of both the National Speakers Association and Toastmasters International. He has appeared on CNBC and been quoted by the Wall Street Journal and other publications. "Acknowledgments Preface 1. Prospecting: An Essential Element to Your Selling Success 2. What Is Prospecting ? 3. The Power of Prospecting 4. Becoming Rejection-Proof 5. Smart Prospecting 6. The 10 Commandments of Prospecting 7. Anatomy of a Cold Call 8. Your Prospecting and Business-Development Strategy 9. Handling Objections 10. Working with Voice Mail and Administrative Assistants 11. Public Relations: How to Make Your Prospects Come to You 12. How to Leverage Your Success 13. Tracking Your Progress Conclusion Bibliography"